Mexico auto industry can be traced back to the early 1900’s, therefore it is a mature and thriving sector that it is one of the world’s top players. Today, automobile manufacturing is an engine for growth and driving force for the economy by contributing with over 3% of the nation GDP and 18% of the manufacturing gross domestic product. It is responsible of nearly 900,000 direct jobs, in 2015 Mexico became the 7th largest producer of light vehicles and overall the 4th exporter globally. 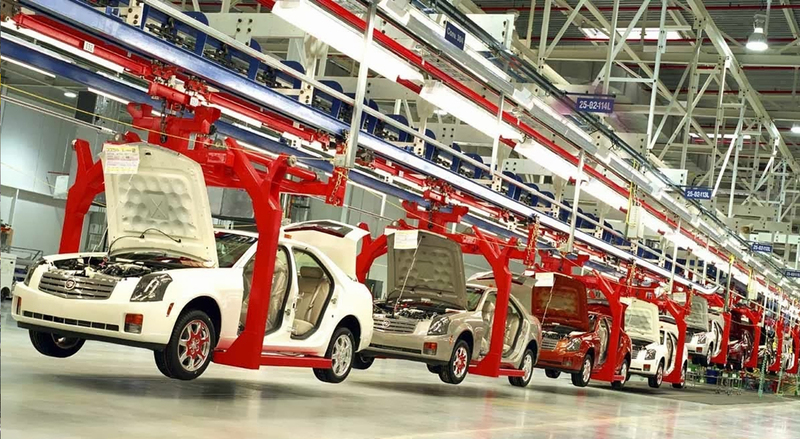 At the current pace, Mexico could surpass India by 2020 as the sixth largest vehicle producer in the world. Currently, 12 of the world’s leading brands produces cars in Mexico, these OEMs include General Motors, Fiat-Chrysler, Ford, Nissan, Honda, Toyota, Volkswagen, Mazda, Kia and Audi. During 2017, as a result of Nissan and Daimler joint venture, Nissan will produce Infiniti and Mercedes-Benz vehicles in Mexico. Then in 2019, BMW will begin production in San Luis Potosí. As of now Toyota is building its second car plant in Guanajuato, and Ford will build a new plant in San Luis Potosí to increase its Mexican vehicle production. Mexico’s auto industry and its auto parts sector closely tied to its American counterpart and the economic growth in the United States, therefore providing opportunities for suppliers from the USA and other countries to help satisfying the industry’s requirements for this increased production, including electronics, harnesses, seats, plastic and metal parts and components. Although the majority of the vehicle assembly plants are located in Central Mexico, northwestern Mexico have a small share with Ford Motor Company in Hermosillo, Sonora where it assembles over 300,000 vehicles per year of the Ford Fusion and Lincoln MKZ midsize cars for the North American market In Mexicali, Baja California, Kenworth assemble 60 heavy trucks daily and in Tijuana, Toyota currently build 70,000 Tacoma’s annually and it is expanding its plant to assemble over 140,00 of this pickup truck by 2019. The outlook for the industry poise a vast opportunity to tier 2 and tier 3 suppliers, because U.S. auto parts sales to Mexico have grown from $17.5 billion in 2010 to $30 billion in 2015, an increase of more than 70%. During 2015, 53% of all auto parts imports into Mexico came from the USA. The Mexican auto parts market is estimated to be $122 billion for 2016. As mentioned in the above paragraph, because of the heavy concentration of final assembly lines in state such as Nuevo Leon, Coahuila, Aguascalientes, San Luis Potosi and Guanajuato the auto industry has drained the available labor force, engineers and driven the cost of real estate and overall cost of production to skyrocket. Due to the enormous infrastructure construction underway in Sonora, tier two and tier three supplier could have their production reaching tier one suppliers in less than one day utilizing Mexico’s modern highway network. Aerospace. Automotive. Electric and Electronics. Food Processing. Medical Devices. Metalworks Industry. Retail packaging in Mexico. Textile and Sewing Industries.